Floyd William Gayton, 709178 was from Hillsborough, Albert County, New Brunswick and was born October 5, 1893. He was the son of Mrs. Hannibal B. Steeves (formerly Gayton), of Hillsboro, Albert Co., New Brunswick, and the late James Gayton. He enlisted with the 64 Battalion on September 27, 1915. He was listed as Killed in Action at while fighting with the 26th New Brunswick Battalion on July 04, 1917. He is buried at the BULLY-GRENAY COMMUNAL CEMETERY, BRITISH EXTENSION ; Pas de Calais, France. He is Commemorated on Page 242 of the First World War Book of Remembrance. 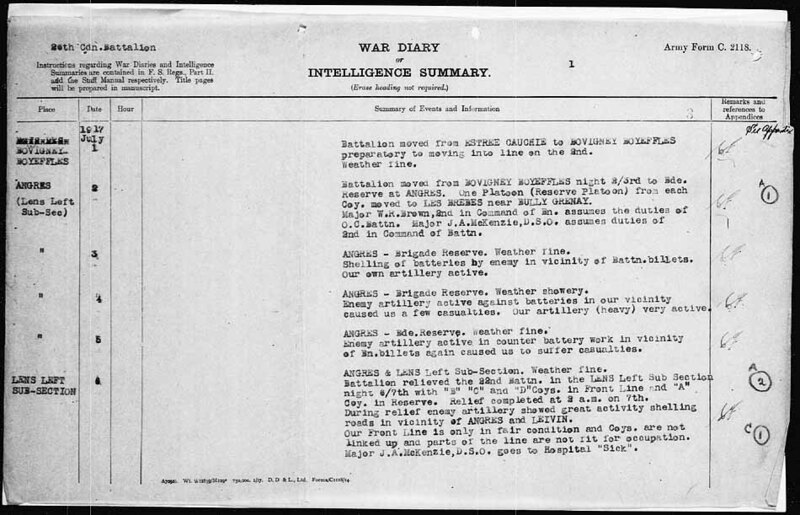 The 26th Battalion's War Diary for July 4, 1917 can be found here.